Today one of you lucky fans could shine (well, smell) bright like a big rosy diamond by entering our Facebook competition! 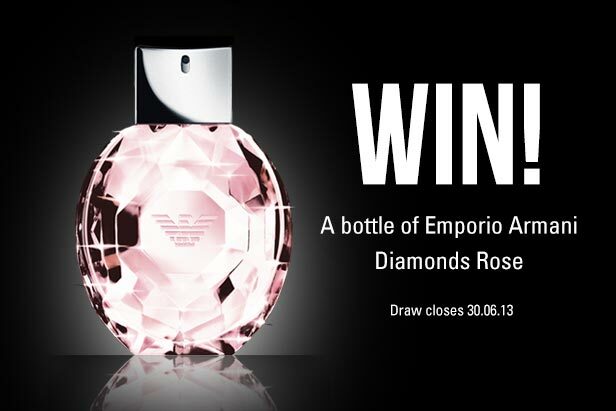 Simply like our page and fill in your details here and you could be in with a chance of winning the new for 2013 Emporio Armani Diamonds Rose for women. A summery update on the 2007 edition graces us with a lemon and raspberry mixture of fruitiness, including top notes of bergamot and black currants balanced by rose and lily of the valley. If today’s not your lucky day then you can find it here on the Fragrance Direct main site.